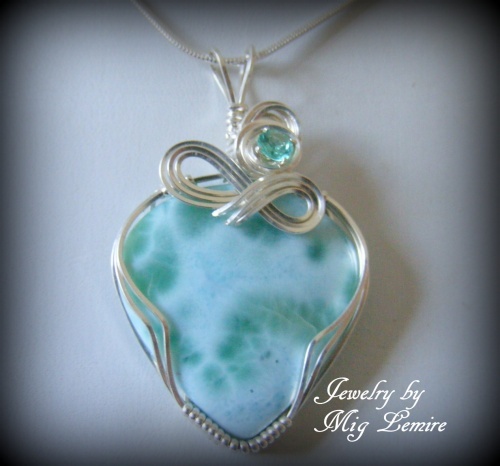 This beautiful Larimar gemstone pendant has an accent of a 3/4 carat faceted matching gemstone - this Larimar is very unusual with the light green accents on the stone. Framed with sterling silver curls, this is one of a kind. Measures 2" long from very top of the bail to bottom of pendant and 1 1/4" wide at its widest part. Comes with a sterling silver snake chain.